The latest disclosure by Iran, which comports with previous claims about the Obama administration obfuscating details about its cash transfers to Iran—including a $1.7 billion cash payment included in a ransom to free Americans—sheds further light on the White House's back room dealings to bolster Iran's economy and preserve the Iran nuclear agreement. "I will not speak about the precise amount," Ghasemi was quoted as saying in Persian language reports independently translated for the Washington Free Beacon. The $10 billion figure is actually a "stingy" estimate, Ghasemi claimed, adding that a combination of cash, gold, and other assets was sent by Washington to Iran's Central Bank and subsequently "spent." "This report is true but the value was higher," Ghassemi was quoted as saying. "After the Geneva conference and the resulting agreement, it was decided that $700 million dollars were to be dispensed per month" by the U.S., according to Ghassemi. "In addition to the cash funds which we received, we [also] received our deliveries in gold, bullion, and other things." Regional experts who spoke to the Free Beacon about these disclosures said that the $10 billion figure offered by the Obama administration should be viewed "as a conservative estimate for what Iran was paid to stay at the table and negotiate." 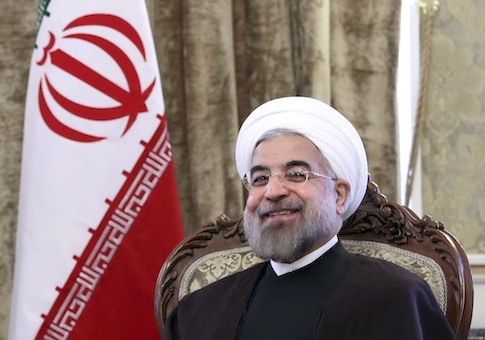 "Iran does have incentives to overstate this figure," Behnam Ben Taleblu, a research analyst at the Foundation for Defense of Democracies, told the Free Beacon. "But given the recent state-sponsored narrative in Iran about a Western and particularly American failing to offer sanctions relief, this reads much more as fact rather than another instance of disinformation from Tehran." "Given the nature of some of this sanctions relief (through the provision of gold and unfrozen assets), this money likely underwrote some of the Islamic Republic's more destabilizing regional activities," he explained. "At the macro level, all of this continues to prove one larger point: The way the Iran deal was handled and the provision of sanctions relief during and after the talks that led to the nuclear accord continues to create problems for those interested in defending the integrity of the international financial system." One veteran foreign policy insider familiar with the administration's outreach to Iran told the Free Beacon that the White House has a history of deflating these figures in order to obfuscate details about its contested diplomacy with the Islamic Republic. "This is how it always happens when the Obama administration secretly sends money to Iran," said the source, who would only speak on background when discussing the outgoing administration's strategy. "They deny it until they're caught, then they lowball it until they're caught again, then they say it's old news. In every single case where Iranian officials confirms these transfers while Obama officials denied them, it later turned out the Iranian officials were the ones telling the truth."